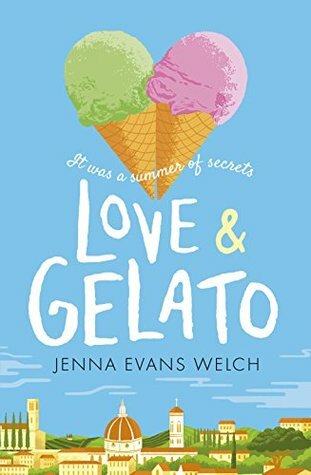 ‘Love & Gelato’ by Jenna Evans Welch was full of emotion. Synopsis: The dying wish of 16-year-old Lina’s mother was for her daughter to live in Tuscany and get to know her father, whom Lina has never met. “Howard is the best man I’ve ever known,” her mother says, “he’ll keep you safe.” Why did her mother wait so long to tell her about him? Lina has a happy life in Seattle and doesn’t want to leave. Shortly after she arrives at Howard’s home, Lina meets Sonya, who gives Lina a diary that belonged to Lina’s mother, the one she had kept while she was a photography student in Florence. While Lina is living her life and exploring Tuscany with her handsome neighbour, Ren, she follows in the footsteps of her mother and gets to know her as never before. She also finds out the truth about her father. Mostly she finds out about herself. I’m going to keep this review fairly short, here’s what you need to know: it’s cute, it’s humorous and even though it’s sad at times, it made me smile. It’s got lessons (nothing is too late, learn from mistakes, etc) and it had a real ‘Mamma Mia’ vibe that I totally digged. The characters were decent and the plot was stimulating enough for me to finish this book in a day. It fell short at times due to the naivety of Lina.